The beige trench coat has guaranteed to never go out of style as these epitomize glamour without being over the top and flashy. 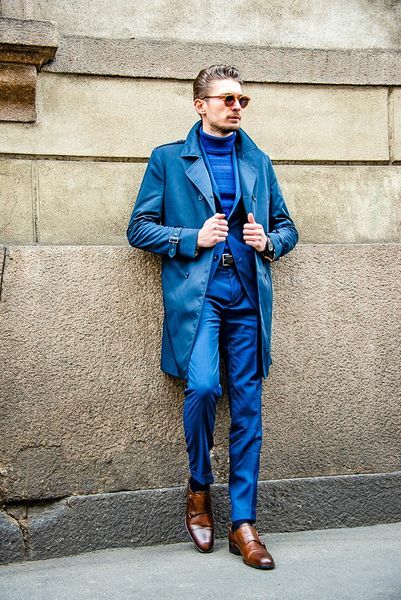 A good quality brown trench coat will last you for years and will go well with everything from smart suits to more relaxed combinations of jeans and jumpers. It's worth investing in a smart pair of leather gloves to go with it. Keep a tight hold of classic brown trench coat and you won't need another pair for years and years to come. The full-length style of the black trench coat offers warmth and protection to the entire length of the body, which for most months out of the year is very useful to the people in the windy city. The coat's length makes for a more formal coat and is better suited to people living in northern climates. The long trench coat also protects a man's trousers from becoming wet during a rainstorm, which is helpful for the businessperson traveling to work. 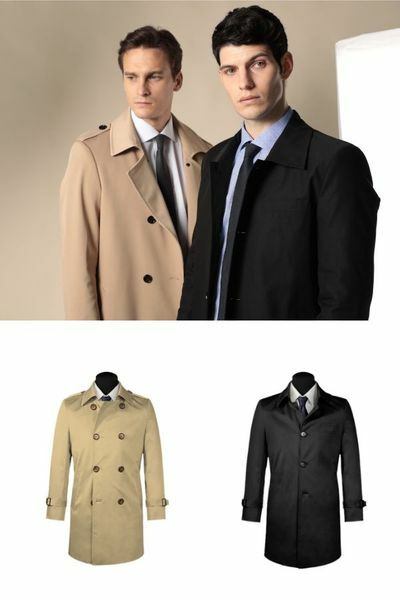 For most men, the black trench coat is an outstanding variety to pair all pieces. Whether you are going for a formal or casual event, the black long trench coat offers the ideal shield. Underneath, man can wear a suit or a pair of shorts and a dress shirt. Either way, the man is fully covered up by the coat. The black trench for men also makes it easy for men to blend in. For those that want something simple and assuming, consider the black trench coat. 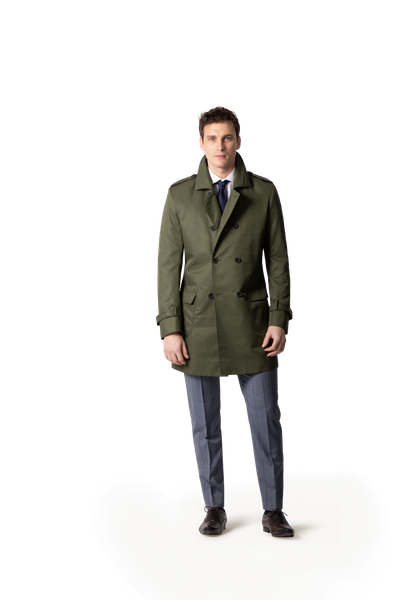 The full length green trench coat is one of the most popular styles of trench coats. Countless people choose this trench coat to wear. It can be chic or intimidating or rather between, dependents on how it is sported. It is an excellent choice for remaining inconspicuous. The full length covers the entire body and doesn't allow other people to see or learn anything about the person who is wearing it. The color green is seen as serious and conventional. It can also be sophisticated and mysterious. Those who choose to wear this color are sometimes trying to hide their moods. Others choose it because it is very slimming and makes anyone looks skinnier. It is also a great color on clothes since it tends to hide curves or stomachs or hips or thighs. It also makes the wearer look sleeker. Whether trying to be mysterious or sophisticated, the color green is great understated color. On a trench coat, the person wearing the coat is immediately hidden behind it leaving the observer to guess at what is underneath. Some people simply don't want a coat that hangs all the way down to their feet. This is where the short trench coat can really come in handy. This particular style is most popular with women because it can be worn with dressy outfits, and popular for men because it can be worn in the most casual situations. They can be found in a number of different styles, colors, and sizes. One of the most popular styles is a button up coat that extends to about the middle of the thigh and has a waist belt on the outside of the coat. While fashion is ever-changing, there are some looks that simply never go out of fashion. Keep up with the latest trends when and where you can, but always be sure that your wardrobe has plenty of favorites you can pull out when you need to ooze effortless style. By putting some smarts into your shopping schedule, you can pick up the kind of clothes that will last you a lifetime and which will mix and match perfectly with the trends that come and go each season. A man's wardrobe does not need a lot of items to make it complete. 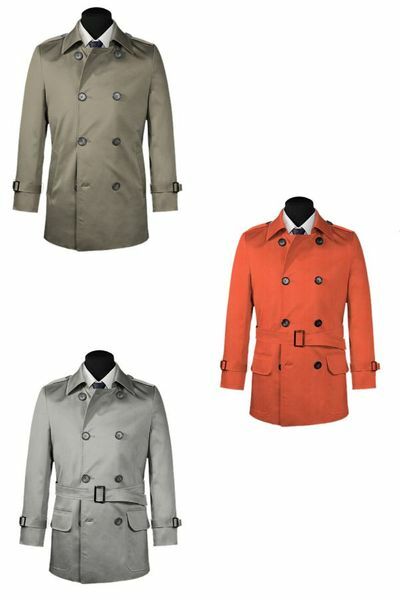 Trench coats are one of the first items men should consider when rounding out their closet.